The Helium 4G is the 8-inch 4G tablet, using a quad core A7 processor (Qualcomm MSM8926 @ 1.2 GHz) and Adreno 305 graphics. 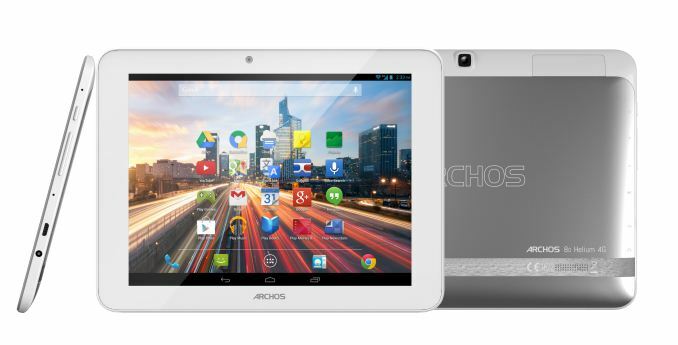 The screen is an 8-inch 1024x768 IPS, with the device having 1GB of DRAM and 8 GB of storage. There is a MicroSD card for additional storage, and the unit packs a 3500 mAh battery. Connectivity is via LTE cat 4, on the 800/1800/2100/2600 MHz bands, and the system with ship with Android 4.3. The device is set at an MSRP of £230 in the UK. 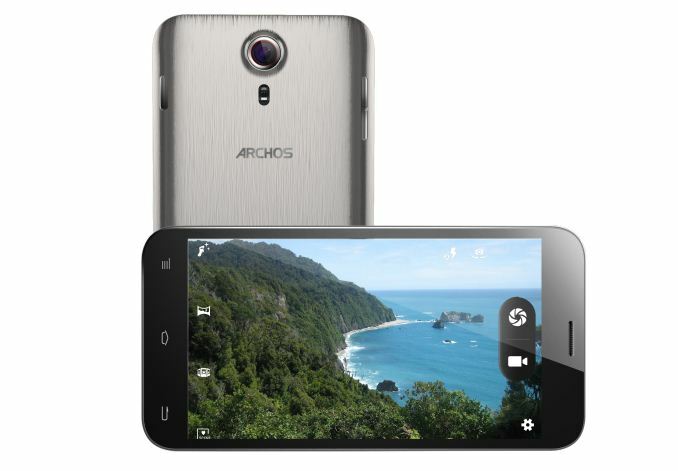 The mid-point of Archos’ 4/5/6 inch smartphone range is the 50c Oxygen, using an octo-core MediaTek MT6592 (Cortex A7) at 1.7 GHz and Mali 450MP4 graphics. The 5” 720p screen is an IPS, with the 1GB of DRAM and 8GB of storage plus a MicroSD slot matching the Helium 4G. No 4G on the Oxygen though, but a 2000 mAh battery and 8MP/2MP cameras on the rear and front respectively. MSRP is set at £200. Continuing the theme, the Xenon is a 6.4 inch dual-sim smartphone (compared to HTC One max at 5.9” and Samsung Galaxy Note 3 at 5.7”) using a quad core MediaTek MT6582 (A7) at 1.3 GHz with Mali 400MP2 graphics. 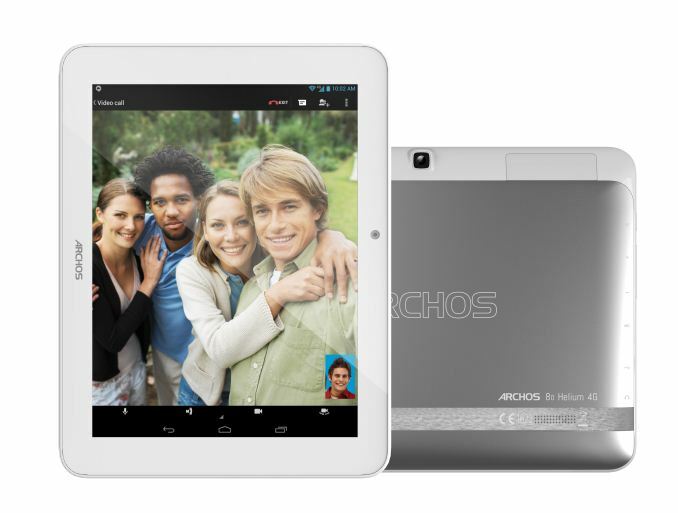 The 1280x820 IPS screen is paired with 1GB DRAM and 4GB of storage with a MicroSD slot. The full dimensions run at 90.6x180.7x9.3mm, with a 2800 mAH battery and the device has an MSRP of £200. 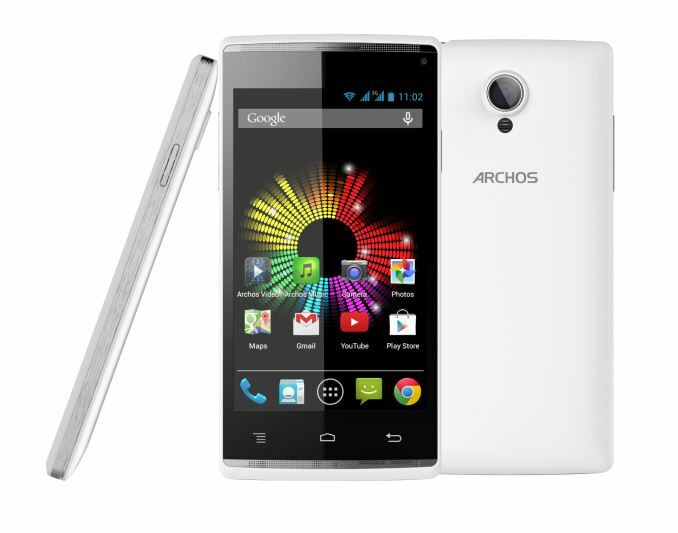 The final device from Archos is the cheaper 4” model, using a dual core MediaTek MT6572 (A7) at 1.3 GHz with Mali 400 graphics. The 4” screen is an 800x480 IPS panel, with 512MB of RAM and 4GB of storage. 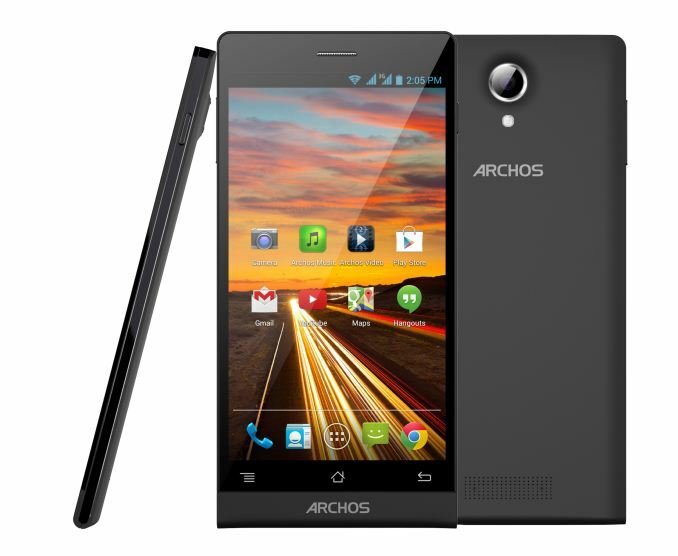 The MicroSD card alleviates that somewhat, but the battery is 1400 mAh and the device ships with Android 4.2. MSRP is set at £100.